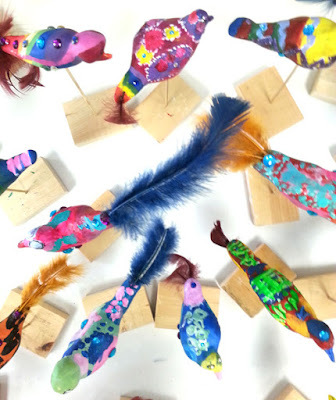 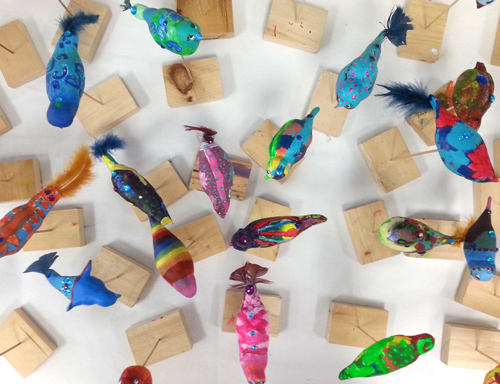 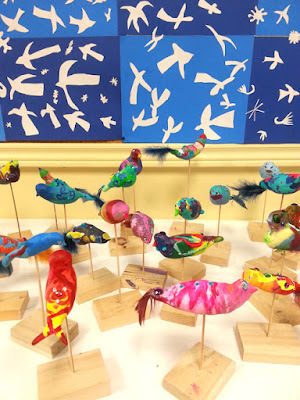 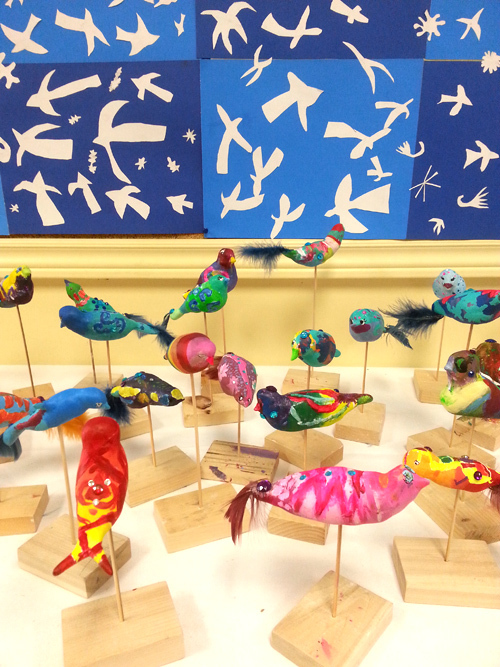 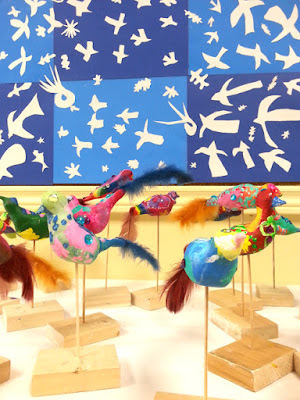 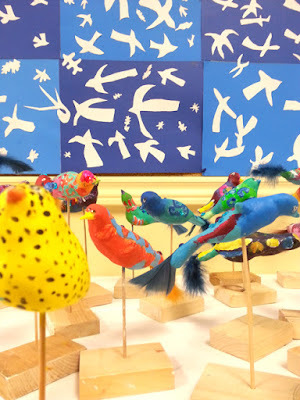 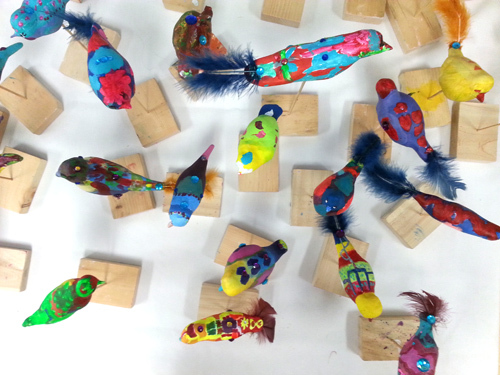 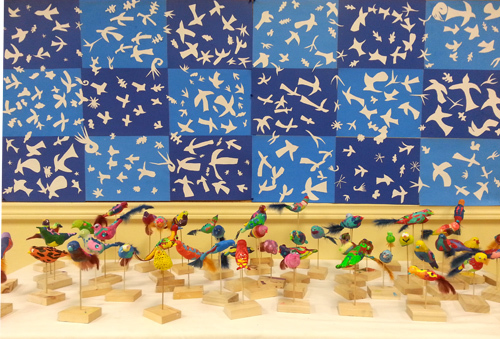 The clay birds are completed by grades 1, 2 and 3. Students also "painted with scissors" like Henri Matisse. 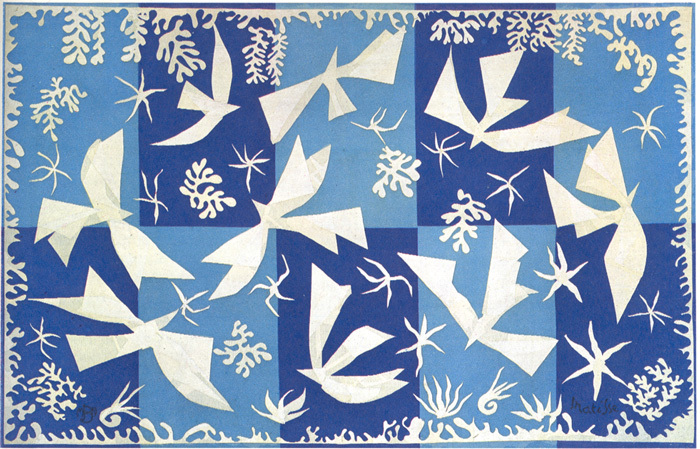 Collage inspired by "Polynesia, The sky", 1946, Henri Matisse.